I still remember the excitement of getting the US student visa ten years ago. Congratulations were in order and so were multiple farewell parties and dinners. I was proud of the fact that I was going to pursue a PhD program in English at a US university. I was offered full funding support through a teaching assistantship. 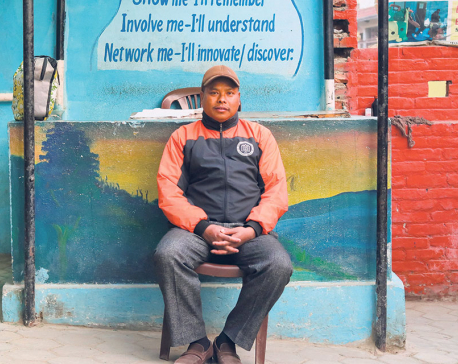 Born, raised, and educated in multiple rural and urban areas of Nepal, I had to undertake an arduous journey for my academic and professional pursuits in the US higher education. It took a lot of perseverance and hard work to make a headway as a foreign, multilingual doctoral student of color in a top tier US university, secure and maintain a tenure line faculty position in the largest public university system in the US, and then to earn and retain the US residency and citizenship. In this article, I want to discuss some not so well-known sides of F1 visa H1 work visa to share some insights with prospective Nepali students and workers who come to the US. Studying in the US for a Nepali student begins not with an admission to an academic program and enrollment into courses but with the US consulate trusting the applicant and granting her a student visa. Securing a student visa alone is a big deal for many aspiring Nepali students. Unless one gets full funding through scholarship or some kind of assistantship, earning a US degree remains a distant dream. While a student visa (F1) is good for study and work on campus, it also comes with some restrictions. International students like us can’t work off campus. They can work only 20 hours on campus. Their spouses (in dependent F2 visa) can’t work. International students must prove financial ability to bring their spouses and dependent children to the US. Even a work visa (H) has some dark sides. While work visa holders can work full time as long as they remain with their sponsors (or find other sponsors and work for them), this visa also imposes restrictions on their dependent spouses, partners and children. My wife, who was a practicing dentist in Nepal, had to wait for seven years from 2009 until we were granted permanent residency (Green Card) in 2016. She was the director of dental wing in a large hospital of Biratnagar but when she landed in the US, she had to stay just as a dependent wife. She could not work because a dependent student visa (F2) does not allow employment. Nor could she go back to school because we had no fund to pay for her expensive tuition fee at a dental school. Her productive seven years were wasted. We were blessed with a girl and a boy during my doctoral study and I could dedicate my full attention to my study because my spouse shouldered most of the household responsibilities. Even after I landed a job, I was sponsored a work visa (H1B) initially, which allowed me to work for three years with an option to renew for additional three years, but my wife still could not work nor study because her dependent visa (H4B now) still had similar restrictions in place. Luckily, my university sponsored permanent residency (Green Card) for us, and this finally opened opportunities for her. Soon she joined a dental college, earned a degree and is now working as an instructor for a dental program close to our home in Los Angeles. But that did not come easy. A decade of her most fertile life was put on hold, and her fate totally depended on my fate. What if I never landed a job? What if my institution did not sponsor Green Card for us? What if our Green Card applications were not approved? I can’t even imagine the course our life would have taken. We would not be in the US even though both of our kids are US born citizens. Our life would not be as stable as it is now. After staying in the US for full five years, the thought of returning home triggered many unanswered questions. We had our kids born in this country but did not have a permanent residency (Green Card) or even a work visa (H), and our student visa (F) would expire as soon as I completed my doctoral degree. I did not have a secured job in Nepal nor the reserved funds to start a new business. We hesitated also because many thought we, in the US ‘a super-rich country,’ had accumulated a lot of money. But our situation was completely different. We hadn’t saved much. Feeding the family of four with a teaching assistant stipend was challenging. Because my wife had been barred from working there was no question of earning additional money. I applied for jobs all over the world before I defended my dissertation and well before my student visa expired. I finally landed a job in California State University Northridge. Fast forward to the present, we are now in line to receive American citizenship in few years but our visa journey, like everyone else’s, was not a smooth sailing. It was tortuous for me and utterly damaging for my spouse. Our visa status always put immense pressure on me and made me highly vulnerable while it sucked ten productive years out from my wife’s life. 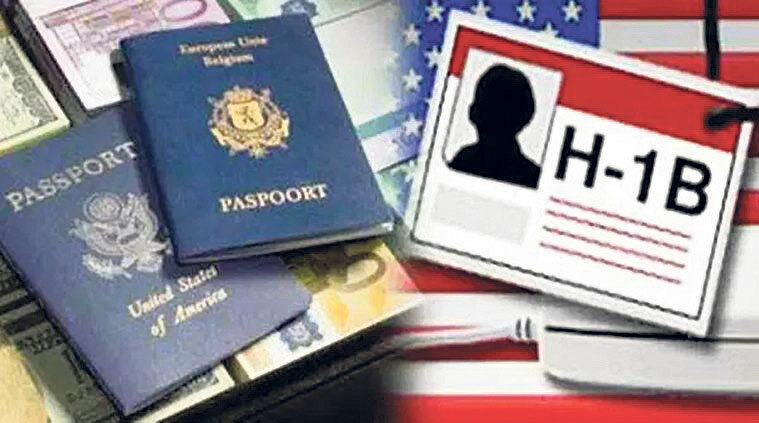 The US must revise visa policy particularly for spouses of foreign students and workers. Most other developed countries like Canada, Australia, and the United Kingdom offer work permits to spouses of foreign students and workers. The US, which calls itself the champion of rights and equal opportunities, subjects spouses (mostly females) of students and foreign workers to restrictions for years and years. This great country must stop treating international students only as cash cows and learn to respect them and their loved ones. Aspiring Nepali brothers and sisters must know well in advance what is in store for them before coming to the US as students and workers. They should know about the restrictions for their dependent partners and family members. The soon to be formed left government in Nepal should bring programs with decent package to attract skilled resources to Nepal. They will surely contribute to Nepali economy when they return.